What Kind of Real Estate Do I Want To Invest In? When you decide to pursue a career in real estate investing you will find that there are many different investing strategies. You can buy and hold or wholesale houses for quick cash. Maybe you like fixing them up and then selling them. If this is the case, then maybe rehabbing houses is the strategy that you will fall in love with. There are so many options and so many different ways to make money you just need to find one that works for you. This is a common strategy that is used to build long term wealth. Single family homes are popular with almost everyone for rentals. 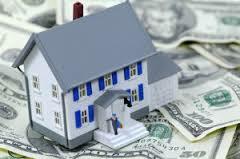 Other types of property that folks buy and hold are apartment buildings, land, commercial property and mobile homes. One of the hottest types of commercial property today is self storage. Almost everyone has used this type of facility at one time or another. Let’s face it. We all have too much “stuff”. With this strategy you find a property that is well below market value. You can either fix it up and sell it for a profit or keep it as a rental. This gives you two different exit strategies. One thing to consider when choosing to rehab a house is the amount of cash that you will need access to in order to finish your project. In addition to the money needed to purchase the house, you would also need to buy supplies and pay contractors. You will also need to carry homeowners insurance as long as you own the house. Of all the types or real estate strategies, wholesaling houses is probably the one that most people are unfamiliar with. A wholesaler isn’t necessarily a landlord or a rehabber. What a wholesaler typically does is find properties for other folks. Wholesaling houses is my favorite investing strategy. Even if your goal is to build a portfolio of rental houses or to just fix up and “flip” the houses, everyone needs to know how to wholesale houses. Those quick “chunks of cash” allow you to pursue your other investing strategies. Deciding which real estate investing strategy works for you may take a little time. There is also a bit of trial and error involved. But once you have made a choice, master that strategy before moving on to another and you will find the success you are looking for. ← Buying Investment Property. Where Do I Find Houses To Make Offers On?